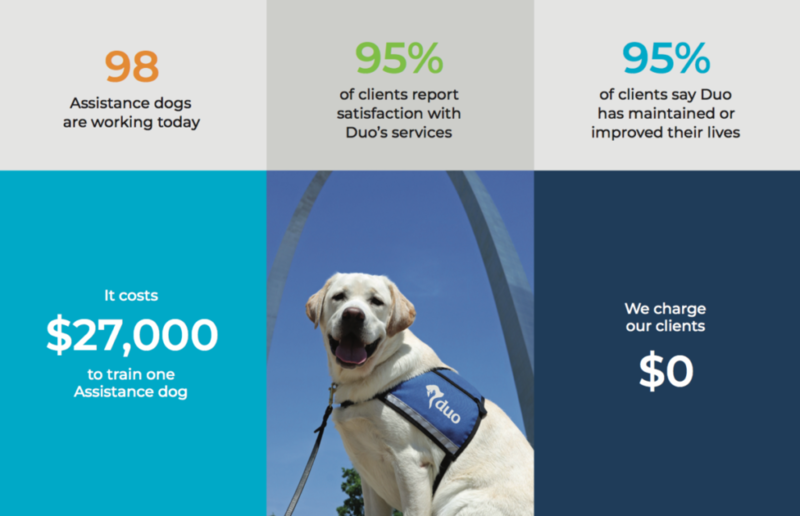 Training amazing dogs to assist individuals with mobility and hearing challenges is Duo’s signature service. It’s what we’ve been doing since 1981 and what we’re known for. Duo trains our Service and Hearing dogs for approximately two yearsto make sure they’re proficient in more than 50 skills. They help mobility clients with activities like opening and closing doors, picking up dropped items, and retrieving objects. They also alert people who are deaf or hard of hearing to important sounds like doorbells, alarms, or a crying baby. 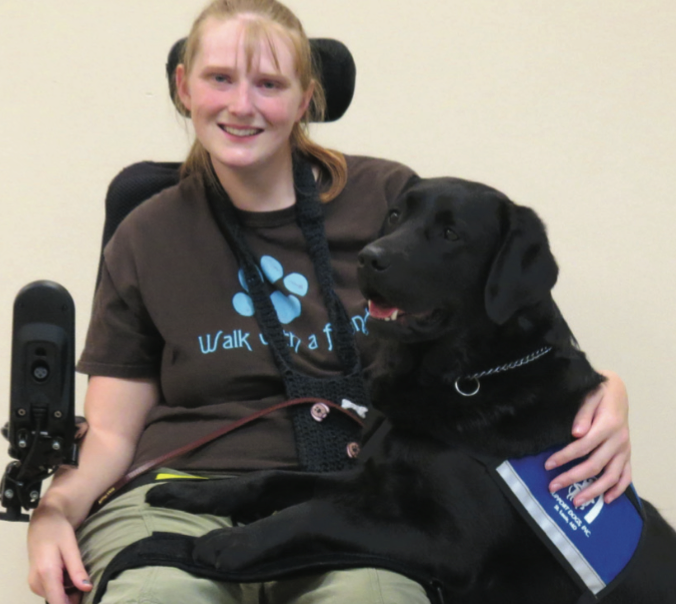 Most importantly, Assistance Dogs form an incredible bond with those they serve as they allow these individuals to live more independent, productive lives.